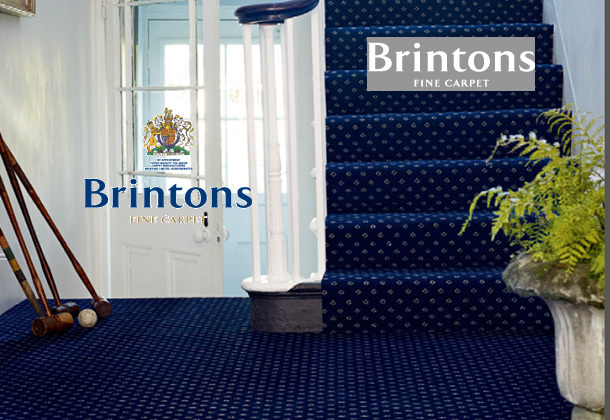 Brinton carpets have been making their carpet range in Kidderminster for 229 years, which since it began has focused on superior quality. Creating a home that looks good is important, but home is also about feel: about relaxing, welcoming family and friends, being cosy and comfortable. A luxurious, wool-rich Brintons carpet is the perfect starting point. Once you’ve experienced the softness and warmth that it brings, you’ll never look back. When you invest in Brinton carpets, you can expect a product of the highest quality, which is practical as well as beautiful, and that will look great for years to come. The designs and colours will stand the test of time. We will help you to make your choice by offering free samples and colour advice, and we’ll always be here to help afterwards with care advice and our quality guarantee. We know that this is not a purchase that you will make lightly, so we work hard to make sure that you get the absolute best for your money. Call in to see our large range of samples. We guarantee to beat any price as part of our price promise.